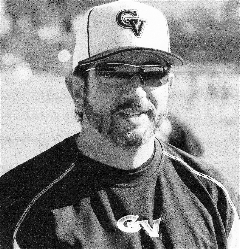 High school baseball coach Scott Drootin has won league championships at three different Los Angeles area high schools–Calabasas, Chaminade and Newbury Park. In 1995, when his Calabasas team went undefeated in 24 consecutive regular season games, the L.A. Times named him Coach of the Year. The same year, he was named coach of the Bernie Milligan All-Star Game. In 1997, he coached the Sylmar Stallions to the Palomino World Series championship. As head varsity coach at Chaminade College Prep High 1997-2002, his teams won Mission League titles for the first time in school history. In 2002, Chaminade was rated #1 in State for small schools by Cal Hi Sports. That year, Drootin was voted one of the Most Inspirational Coaches in America by Jiffy Lube. And the L.A. Times and Daily News named him Coach of the Year. From 2005 to 2008, Scott was head varsity baseball coach at Newbury Park High. In 2005, he was chosen to coach the Bernie Milligan All-Star Game. One year later, less than two years after he took over the last place baseball program at Newbury Park, he led his Panthers to the Marmonte League championship. Among the future Major League players he has coached are: Randy Wolf, Jeff Cirillo, Damon Buford, Jeff Suppan, John Garland, Mike Moustakas, and the Dodgers’ #1 prospect, Andrew Lambo.